We take a blend of the finest coffees from Central and South America, all choice selected, high altitude, shade grown and handpicked, then roasted very dark, to get a rich complex flavor creating the perfect French roast. This caffeinated dark roast has an intense, bold, and smoky flavor in every cup. 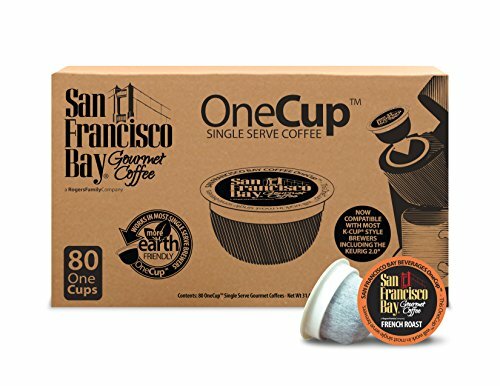 We use only the best low acid, 100% Arabica coffee beans to ensure our coffee is the best tasting coffee to be found for your Keurig K-Cup style brewers and other single serve brewing systems. If you have any questions about this product by SAN FRANCISCO BAY, contact us by completing and submitting the form below. If you are looking for a specif part number, please include it with your message.